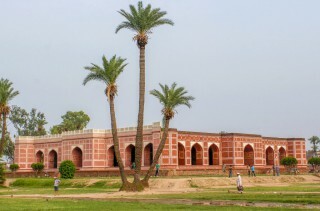 The Tomb of Asif Khan is a mausoleum located in Shahdara Bagh in Lahore, Punjab. 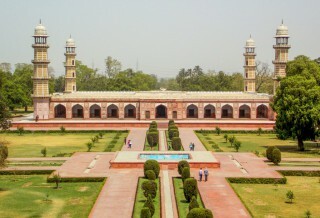 It was constructed for the Mughal statesman Abul-Hasan ibn Mirza Ghiyas Beg, who was titled Asif Khan. Asif Khan was the brother of Empress Nur Jahan, and father of Arjumand Bano Begum, who became the consort of Shah Jahan under the name Mumtaz Mahal. In 1636, he was elevated as Khan-e-Khana and commander-in-chief and a year later became the governor of Lahore. Asif Khan died on 12 June 1641 in a battle against the forces of rebel Raja Jagat Singh. His tomb was commissioned to be built in the Shahdara tomb complex in Lahore by Shah Jahan. It was built to the west of the tomb of Jahangir, facing it. It took four years and was completed in 1645 at a cost of 0.3 million rupees. Some historians believe that Maharajah Ranjit Singh plundered his tomb for its marble and sandstone to be used in his building projects. Today the tomb and the walls as well as the main gate are dilapidated. 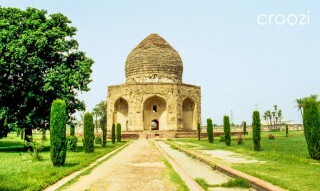 The tomb, along with the adjacent Akbari Sarai and the Tomb of Jahangir, is on the tentative list as a UNESCO World Heritage Site.